I have been waiting for weeks to write this review and am eager to share it. Before I did so, I wanted to use my PlanetBox Launch repeatedly to see how it held up to daily use and washing. And today, I can say that I am a PlanetBox convert. This is the real thing. I have tried many “green” lunchbox products now – canvas bags with Velcro closures, various manifestations of the classic bento box, bamboo sandwich wraps – and I’ve always been left wanting. Since my son started school four years ago, I have been searching for one product that could replace all of them. I’ve found it in PlanetBox. For those of you who still use Ziploc baggies and aluminum foil, I can save you money, time and energy with this review, and perhaps more importantly, we can together reduce your carbon footprint. Disposable products should really be a thing of the past. Aren’t we evolved enough by now as a species to see the damage we cause with our throw-away culture? In a pinch, these things are fine, but for daily use, reusable containers are the way to go. 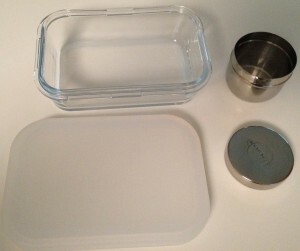 Many plastic reusable products exist, often under labels like Tupperware and Rubbermaid. 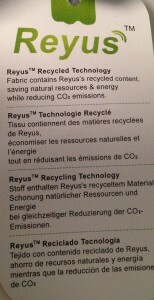 They cost less than PlanetBox; however, they don’t last long, so they too will wind up in landfills, polluting our earth. If the green movement doesn’t inspire you to act, perhaps your health will. We have all heard the scary reports not only about BPA, but also about those purportedly safe “BPA free products.” Frederick vom Saal, a University of Missouri biologist who studies endocrine disruptors such as BPA and other chemicals like it, issues this warning to consumers: “Until we have some idea of what chemicals are added in all stages in making a final product, we will not be able to determine the safety of any plastic product.” Clearly, switching to leach-free materials like glass and stainless steel as much as possible is a smart move. Have I convinced you yet? No? What if I told you that PlanetBox is just fun. Yup, I said it. Fun. Fun, fun, fun. What mother (with the exception of those on 1950s television or Pinterest) has ever uttered, “I can’t wait to get the kids to bed so I can prepare their lunches for tomorrow?” I love parenting, but I simply detest the lunch packing process. I spend hours drawing pictures and writing notes for my children to read when they open their lunches, yet my husband and I agonize each night, just about 7 p.m., about what to place inside their lunch sacks. Enter PlanetBox. Seriously! You don’t believe me? Look at the individualized compartments. No mixing of food from one space to the other. No leaking. No separate baggies for each item. Genius. In the Rover, my first choice for school children, there is ample room for a main meal, as well as veggies, fruits, snacks and even a little treat at the center. 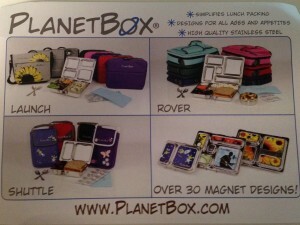 Children can personalize their PlanetBox Rover by selecting a colorful carrying case and magnets for the outside. 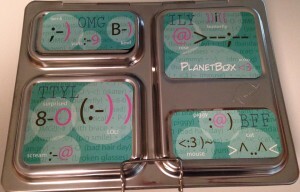 PlanetBox just launched custom magnets too, so you can upload images and text and let your kids design their own. The magnets must be removed before washing, a bit of a nuisance, but children really love them. 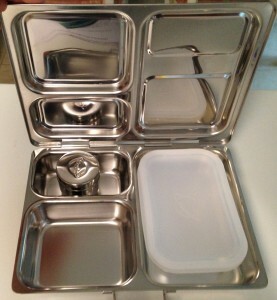 If you are buying a PlanetBox for yourself, I’d say splurge on the carrying case and ice pack and forget the magnets! So what about you? I’ve been using the PlanetBox Launch, my top pick for adults, for a number of weeks now and it looks like it just came out of the box. I’ve thrown the entire thing into the dishwasher, tossed it next to me in the car on the way to work and dragged it around from class to class. With the help of the optional ice pack (you can use one of your own, but theirs is the perfect fit), my food stays cold and fresh. The glass container has a silicone lid that wraps tightly around the rim and the little dipper, a small cylindrical container made of stainless steel, is perfect for salad dressing and dips. I even tuck almonds and string cheese on the side of the glass container for extra storage. I’m eating better because of PlanetBox. 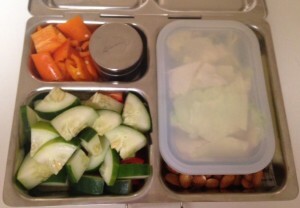 Maybe it’s all in my head, but it inspires me to pack a healthier lunch for myself and my children. Nature’s foods provide far more beautiful colors and shapes than do processed goods. I also think I look pretty cool eating out of the PlanetBox, but that may just be my inner geek’s wishful thinking (I am a college professor, after all). If you visit PlanetBox’s website, you can watch videos about all three versions of PlanetBox to see which is best for you. 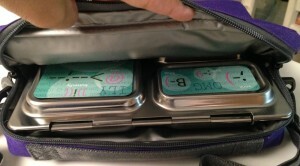 They also offer a new meal planning app that allows you to create, save and share ideas for packed lunches. There, and also on Pinterest and Facebook, much more creative souls have posted myriad pictures of beautiful lunches packed in PlanetBox. I don’t claim to have their aesthetic vision. No matter! Even my more pedestrian attempts make me happy. Lunch just looks better in the PlanetBox. Take a PlanetBox for a spin and let me know what you think. Maybe you’ll look as hip as I do!